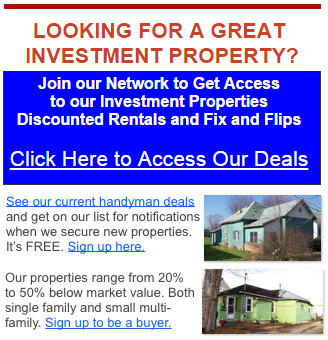 Tips and Tricks for New Real Estate Investors In Denver! Getting started with real estate investment might seem daunting. However, with the right information and planning, almost anyone can build a profitable real estate portfolio. In our latest post, we offer tips and tricks for new real estate investors in Denver! In addition to saving up for a downpayment, there are many additional expenses a new homeowner will face. Unless you are purchasing from a direct seller such as House Ninjas , you will likely be dealing with closing costs and commissions right from the get-go. There will be things you want to fix and repair in addition to miscellaneous costs such as utility deposits and HOA fees. You might find yourself with more expenses than you planned for. By saving up ahead of time, you won’t have to stress yourself out when buying a home in Denver. Talk to as many people as possible about your desire to purchase a Denver property. You will be surprised at who knows who and what doors this can open. Many times, the best deals are found via word of mouth. By making it known that you are ready to buy, you might find the deals start coming to you.